Have you ever wanted to be part of something bigger to help people and have a love for dogs? Well, your prayers have been answered. There is a program that is all about helping people and working with dogs called The California Rescue Dog Association, Inc. also known as Carda. 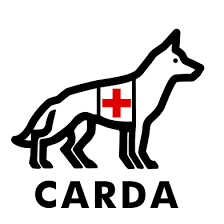 Carda is a group of volunteers and specifically trained dogs dedicated to aid in the search of missing persons. This company was founded in 1976 and is a non-profit organization in America. It is also the largest non-profit organization that people volunteer for. Carda’s mission is to train and certified dogs to assist in law enforcement and public safety agencies to search for lost or missing persons. By coming up with this organization it has saved the public safety agencies a great amount of money. The search dog teams and volunteers of the Carda organization haved helped with thousands of missing person cases. The good thing about this organization is that “Carda teams are available 24 hours a day, 365 days a year to respond to local, state, and federal law enforcement as well as other public service agency requests.” In 1976, Carda became the biggest search dog group in the nation. A statement I would like to use is “CARDA is a 501(c)3 non-profit organization and has 149 currently certified dog teams spread throughout the state.” There are two disciplines that CARDA dog handlers initially train a dog for and they are: trailing or area search, which now will be discuss. In the discipline category known as trailing: “dogs are trained to follow the path that a lost person has taken. Similar to traditional “tracking” dogs, these dogs require a properly preserved scent guide (i.e. a scent article like a sock or glove) and are not distracted by other people in the area. These dogs work on long leashes. Trailing dogs most frequently work trails that are hours or days old.” In this category known as area search: “dogs are trained to find any human scent in the area. Area search dogs work most frequently off-leash and can cover large areas.” Within these two categories there are sub- categories which are: Cadaver, Water(search dogs trained to locate human decomposition which emanates from under the water. ), Avalanche and Disaster. In conclusion if you want to help people and work with dogs this organization is for you. If you become part of this organization you would be doing a lot of good in the world, you can help save lives For more information about Carda check out . To learn more about Carda click here. 4061 East Castro Valley Blvd.